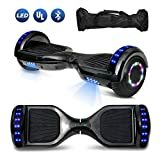 Tips 1: Check the smart scooter before playing it. Safety first. 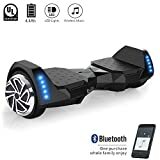 Tips 2:Press the power switch to turn on self-balancing electric scooter. 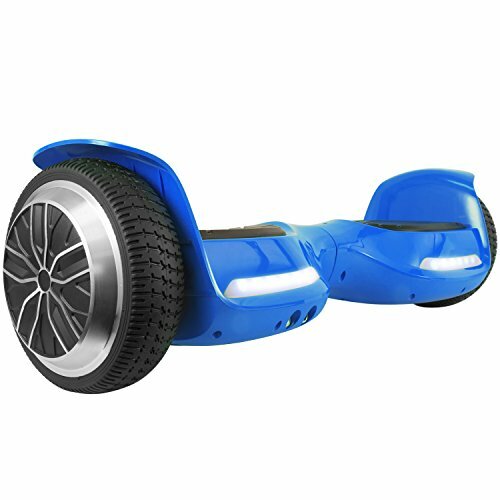 Tips 3:Step on one foot, start up the foot-switch and the LED light .the system will come into self-balancing condition.Then step on the other foot to operate it. 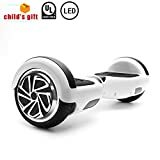 Tips 4:Take control of the scooter forwards or backwards,do remember the range of movement for your body shouldn’t be Strenuous. 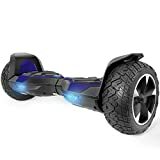 Tips 5: Please keep the scooter balanced before stopped,the foot left the board one by one. Recommended Age 13 and up. Fresh player should get one learning partner. 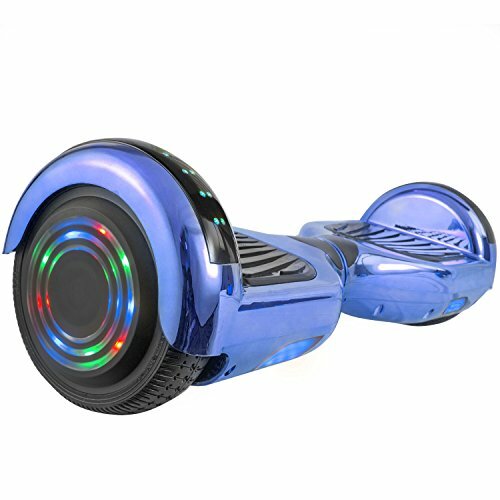 【GO SAFETY】: UL 2272 Certified KOOWHEEL board with UL2271 Certified Samsung Smart Battery. Underwent and passed 159 tests regarding safety regulations, meaning no potential fire hazards. 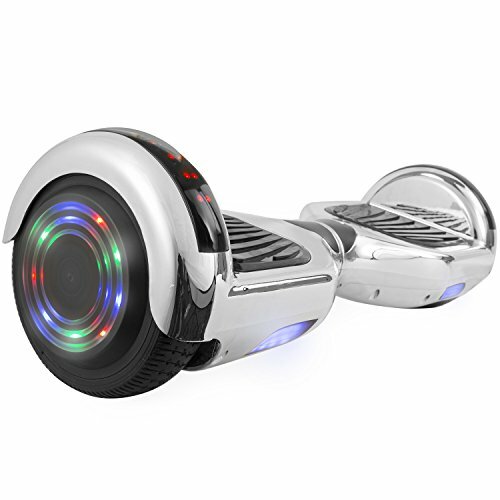 Made from strong aircraft-grade aluminum alloy frame that allows it to handle up to 250 lbs of load. IP54 Waterproof Dust Leve. 【All TERRAIN】: The 8.5-inch large rubber all terrain tires allows a more comfortable riding experience through tough road condition. 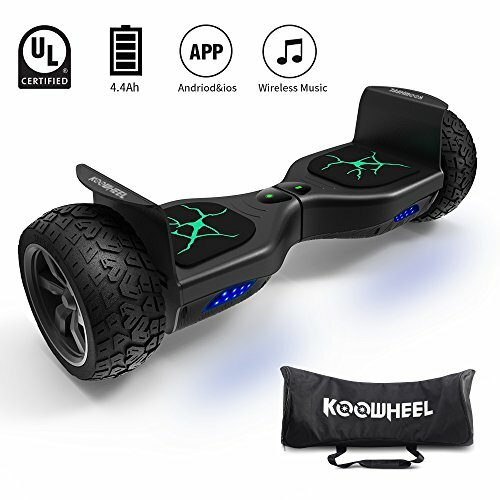 【MORE POWER】: KOOWHEEL has 350W Dual Motors that help it climb slopes as steep as 15-20 degree and a 15-20 kilometer range on a single charge, making it one of the most powerful balance board on the market. The charging time is 2.5h. 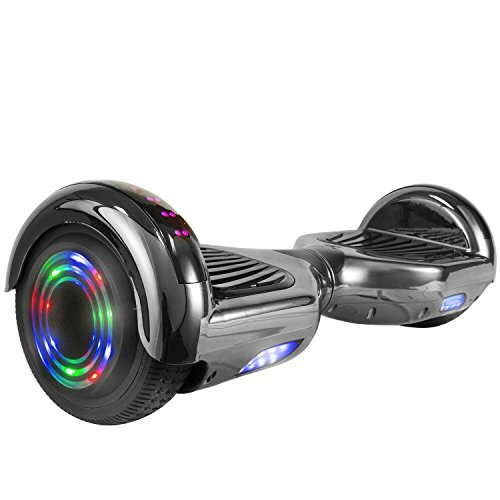 【SMART】: The self-balancing feature, which is perfect for new riders, is complemented by a dedicated iOS app that can control the hoverboard and monitor performance. 【BEYOND THE PRODUCT】: 1 year limited warranty covers parts and labor from the manufacturer, a US company based in CA meaning quick response and service.